Belle Meade is a 15-yr-old subdivision about 2 miles south of downtown Belmont, featuring homes that are typically around 4-5 bedrooms and 3,000 square feet. 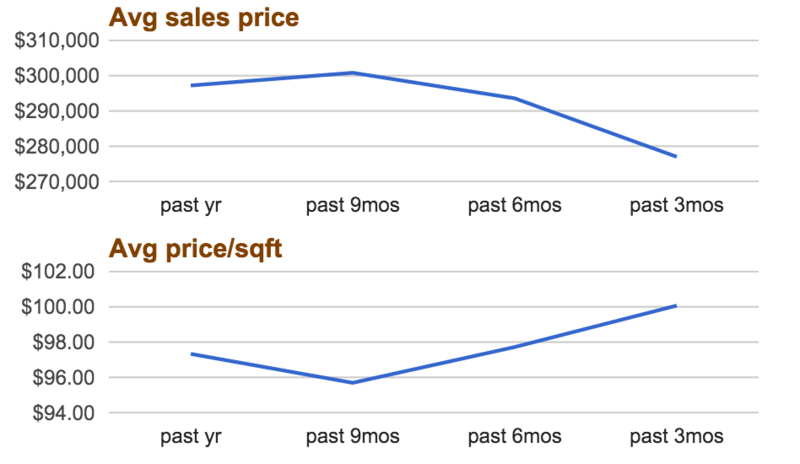 Over the past year, about 1 home has sold every other month in Belle Meade, and prices have been steady, between $280-$300k and just about $100/sqft. Belle Meade’s proximity to both I-85 and Wilkinson Boulevard make it a great choice for anyone commuting to Charlotte, or who wants easy access to Charlotte-Douglas International Airport. It’s also convenient to McAdenville, famous for its Christmas lights. But proximity to amenities comes at less of a price in Gaston County, where taxes are lower than Mecklenburg, despite being just across the river. While most of the area is a strong seller’s market right now, Belle Meade has some inventory, with 4 homes currently for sale (though 1 is under contract). 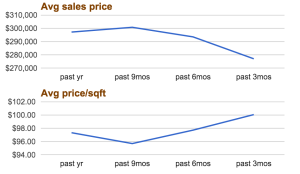 Belle Meade & Gaston county both have between 5-6 months of inventory, which suggests a balanced market. Over the past year, sellers in Belle Meade have only had to come off their price about 3%. So if you’re looking for a convenient location & small-town charm, give Belle Meade & Belmont a try!